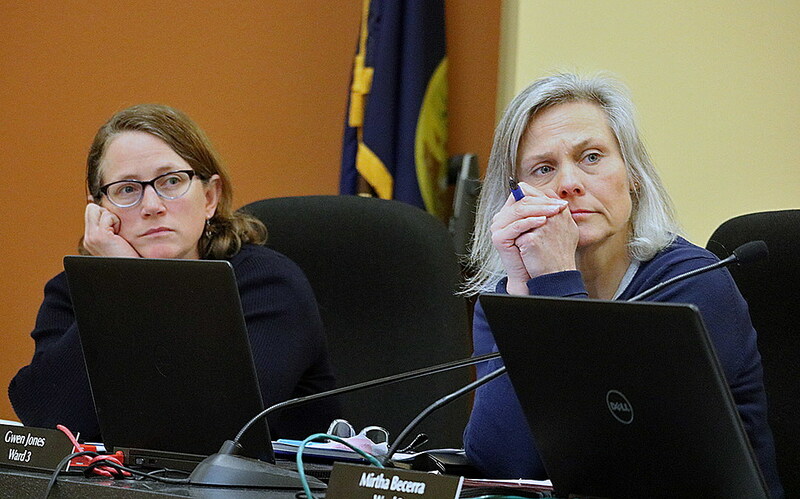 Missoula City Council members on Monday praised Mayor John Engen for pulling the plug on a controversial – and outrageously expensive – sidewalk project in the Slant Streets neighborhood. But they’re not giving up on pavement, and at least one councilwoman – Ward 3’s Gwen Jones – said she wants the discussion to take a new direction. The proposed Slant Street project was in Jones’ ward, and would have seen some homeowners saddled with nearly $40,000 invoices for the installation of sidewalks, curbs and gutters. After a number of meetings and an outcry on social media, Engen announced last Friday that he was suspending the city’s master sidewalk plan, including the Slant Streets project, pending a comprehensive review. Engen ordered an internal review of the city’s sidewalk program – for years a bone of contention with homeowners and City Council members – and promised to have a “less expensive, strategic sidewalk plan” ready for the 2020 budget cycle next summer. That review begins in the City Council’s Public Works Committee at 2 p.m. Wednesday. “ I guess I would like to reframe the narrative a little bit,” Jones said Monday night. “I understand and completely empathize that the numbers were high, shockingly high, and I think it’s absolutely the right thing to pull back on this and figure out the next steps. Committee chairman Jordan Hess said he has a number of proposals to start Wednesday’s discussion, but wants to introduce those at the meeting. “A lot of good work has been generated out of that and a lot of potential modifications to the existing system have been suggested – how to do this better in the future,” Hess said. But Jones said she’s going to push hard for a continued sidewalk program. “And a very parallel and connected conversation is shoveling our sidewalks so that they are safe for people,” she said. “We spent a lot of time on that project also and getting that to a good place where I think the fees and costs are reasonable. Wednesday afternoon’s meeting is open to the public in the City Council Chambers.